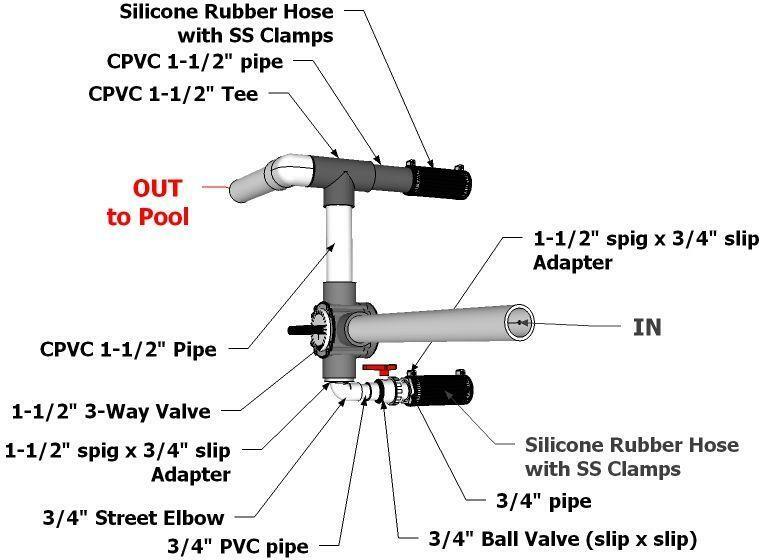 This connection kit is ideal for pool or spa owners that have an existing pump and want to use this to force the water through the heater. By doing so the system will heat up more evenly without layering hot on the cold water. The Wood Fired Pool heaters are rated up to 14 PSI. If using a strong pool pump it is recommended that a pressure reducing valve is installed. Hot tubs should only use a circulation pump with a wood heater and never a jet pump. 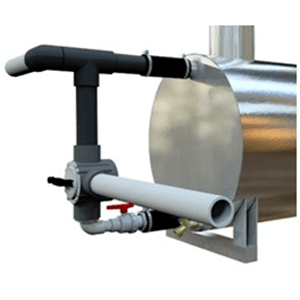 The integrated 3 way diverter valve allows owners to fine tune the flow going into the heater allowing the heater to raise the water temperature faster resulting in a better internal burn chamber.